Another Zoup! restaurant is here to please soup fans in metro Detroit. It's located inside the Ren Cen food court, just downstairs from the main lobby. Zoup! 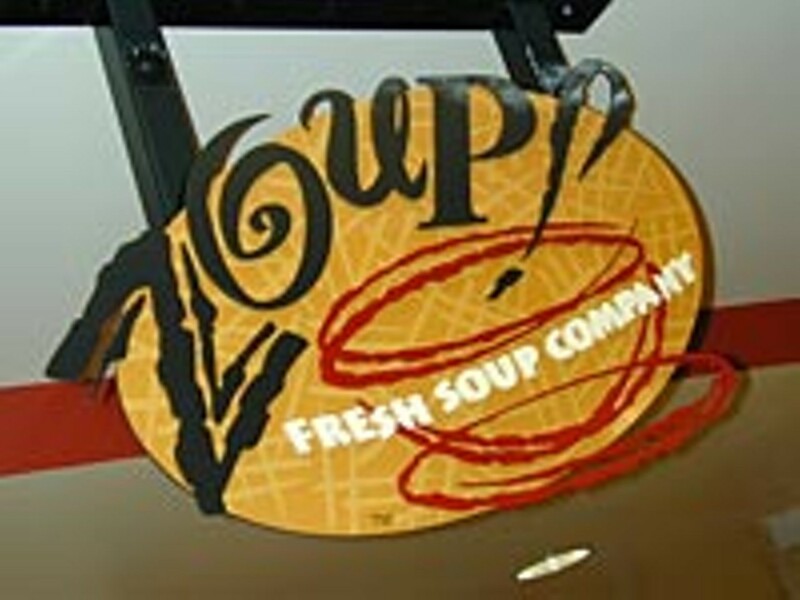 serves a dozen different handcrafted soups each day, selected from a collection of more than 200 recipes. First-time customers can try free samples to help them choose from a variety of low-fat, vegetarian, dairy-free and spicy selections. Soup flavors include asparagus, chicken pot pie, shrimp and corn chowder, Jamaican Bay gumbo and Bass Ale steak and onion. Homemade brownies and cookies top of the meal. And Zoup! 's not just for lunch any more  try a unique breakfast from 8-10:30am each weekday. You can choose from a list of five homemade oatmeal flavors (such as banana nut crunch and blueberry), plus a selection of juices and baked goods. Zoup! 's Web site features daily menus and on-line ordering.